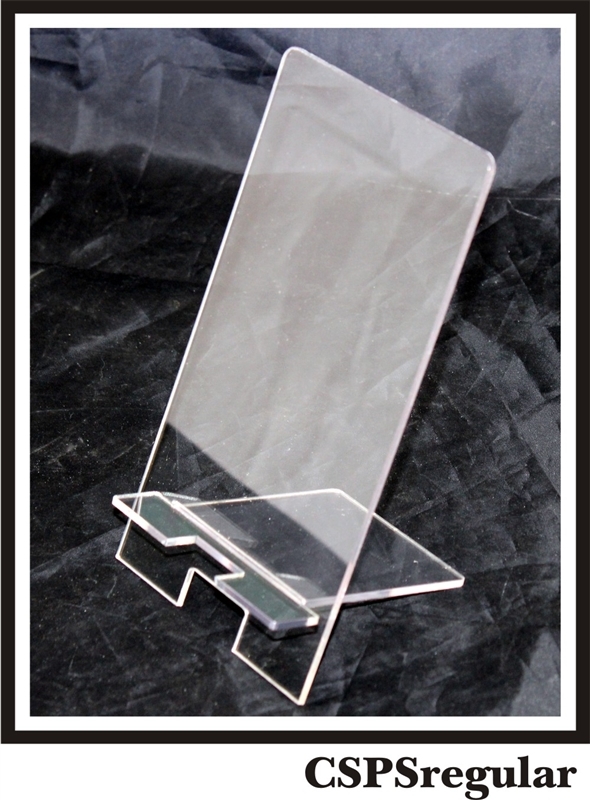 Regular style acrylic phone stand. 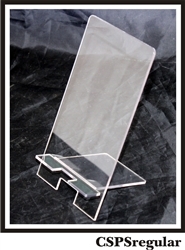 Come with two pieces of acrylic that interlock with each other. Fits most cell phone, approx. 4.0" x 8.0" inches when assembled together. Must remove protective film from both sides of the acrylic pieces. Use paper, inks, paints and more to decorate your one of a kind phone stand. Proud to be made in the USA.